Find Four can be played at the Ski Lodge and the Lodge Attic. To play, simply walk up to one of the game spots. This is one of the few multiplayer games on Club Penguin. The objective of this one is to get four of your pieces in a row to win. 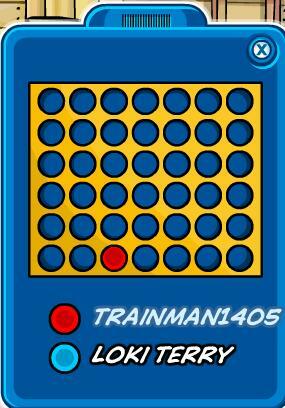 If you win, you get 10 coins. If you lose, you get 5 coins.